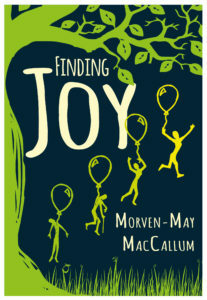 Today I have a fascinating post by Morven-May MacCallum whose first book, Finding Joy, is out on 31st May in ebook and paperback. It’s based on her own experiences of having Lyme Disease. To me, books and stories hold a fascination that nothing else can compete with and writing was my escape when illness threatened to suffocate me. I was a teenager when I was forced to drop out of school. I had been fighting an increasing number of symptoms for over a year by this time but at 16 they finally overpowered me. It took years to learn that the illness that was leaving me housebound and bedbound was caused by Lyme disease – which can be transferred through a tick bite. Like a worrying amount of people with Lyme disease, I was wrongly diagnosed on more than one occasion. My family did a huge amount of research into a number of illnesses because at this time my mental abilities had reduced so much that I struggled to read or watch the TV – my mind couldn’t process information. Physically, I was becoming so weak that I struggled to walk even the shortest of distances. I had a baffling array of symptoms which were staggering and overwhelming. It’s taken around six years of treatment to start seeing improvements and I still have a very long way to go but being able to be a part of the world again, even in a small way, is glorious. I hope I never tire or forget to appreciate being able to do simple things like taking my dog for a walk or spending time with my friends and family. With the improvements in my health, I became more and more aware of the stories about other people who were suffering from Lyme disease and about people who had their loved ones die from it. I wanted to do something to try and help people become more aware of this terrible illness and to try and prevent people from being infected by it. It’s astounding that so many people have Lyme disease but very few people know much about it. A lot of people don’t know how to prevent a tick bite on themselves, their family or pets. Many people don’t know how to remove a tick safely or what the early symptoms are so that they can get treatment as early as possible. At the time, I wasn’t well enough to go and speak to people to raise awareness and it seemed logical to write a book about Lyme but I was reluctant to do so. 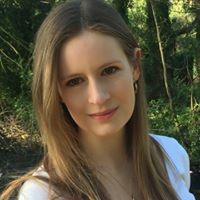 Writing was my escape from the monster which is Lyme disease and it took a long time for me to accept and to relinquish the only thing in my life which was not dominated by this illness. I considered writing my own experience but I couldn’t put my heart into it. Writing the story from a fictional view felt far more powerful and I hope it provides a more emotional connection and view of what it’s like to live with this debilitating illness – which is deeply misunderstood. As I was writing the book, I felt that I wasn’t doing the other characters’ stories justice. This illness has such a profound effect on the person who is ill but also on those closest to them. I felt that their story needed to be told too, so I began to write from three points of view. Doing so gave me a great insight into what my friends and family have gone through with this illness. I always knew that my friends and family were incredible people and how fortunate I was to have them in my life but writing from a family member and friend’s perspective allowed me to see just how miraculous they truly are. I really hope that my novel, Finding Joy, can help people to become more awareness of Lyme disease and can help to prevent other people from having their life destroyed or losing a loved one. Thank you so much for sharing this, Morven-May. If you’re interested in the book then why not check out Morven-May’s website, Twitter or Facebook pages.